To assist in the application of TCO operations policy and procedures and timely implement support operations at Mbeya Field Office and contributes to recommendations on the improvements of internal controls systems, taking into account the prevailing conditions in the region. Currently, transactions and arrangements related to MFO purchase orders are being handled by Dar Office leading to delays and bureaucracies. In compliance with the policies, procedures, rules and regulations, Mbeya Field Office proposes that all its operational transactions take place under this post. Under the general supervision of the Chief Field Office, serves as principal support for carrying out broad operations and administrative support functions, which may include co-ordination of administrative staff engaged in fields of work such as HR, Finance, IT registry, Supply & Logistics and Transportation as indicated by the requirements and structure of the organization. -Completion of secondary education is required, preferably supplemented by technical or university courses related to the work of the organization. 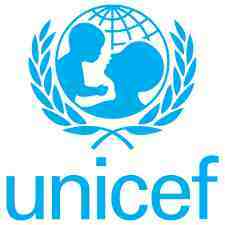 UNICEF is looking for a highly committed colleague, motivated and self-driven, capable of working independently to drive UNICEF’s agenda for child protection and adolescents in Zanzibar. 1. Programme Planning, Development and Management. Enhance effective sectoral or inter-sectoral collaborative partnerships in planning, development and management by leading, guiding, coordinating and supporting the timely completion of the Situational Analysis and its periodic update through accurate; and complete monitoring and analysis; and the timely preparation or finalization of sectoral input, leading to responsive child protection systems and prevention of violence and facilitate measure of outcomes. Provide substantive advice, recommendations and input in the formulation of country programme documents and plans of actions relating to the Child Protection programme, specifically the enabling environment, response services and with an emphasis on prevention of violence. Take primary responsibility for the development of the child protection work plan and technical decisions as well as for programme management, implementation and monitoring of child protection activities, primarily in support of the implementation of the Zanzibar National Plan of Action on Violence against Women and Children, in compliance with the defined programme strategies and approaches,. In collaboration with Chief of Zanzibar Field Office and colleagues, formulate the adolescent approach and strategy and take primary responsibility for the coordination of the implementation of the adolescent strategy in the Zanzibar field office.